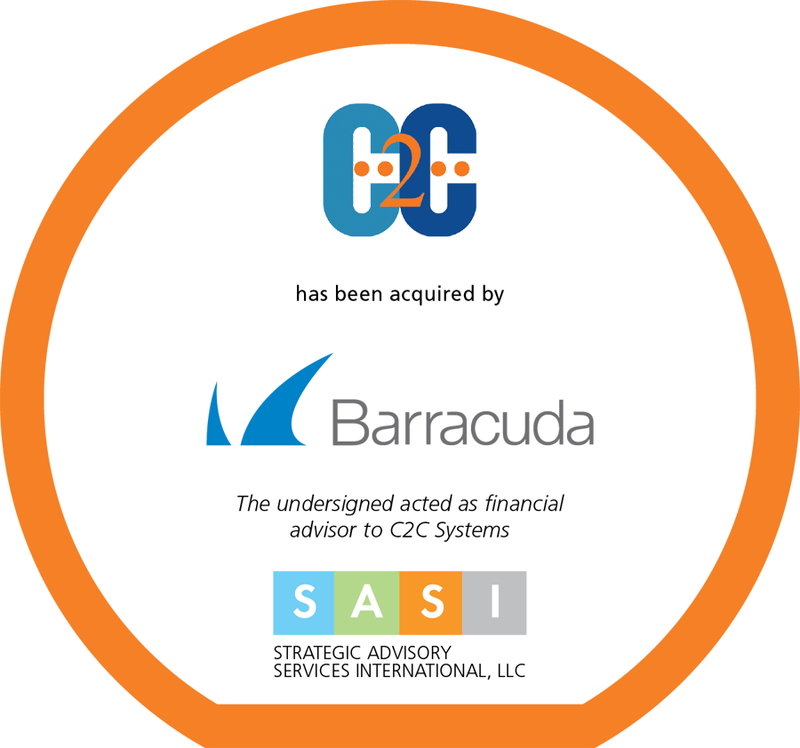 Strategic Advisory Services International, LLC (SASI) is pleased to announce that C2C Systems (C2C) has been acquired by Barracuda Networks, Inc. (Barracuda). SASI served as exclusive financial advisor to C2C. Terms of the transaction were not disclosed. SASI introduced the key executives involved in the transaction and drove critical aspects of the M&A process from initial technology validation, to letters of intent through final closing agreements. Keys to success included SASI’s longstanding relationship with Barracuda, managing cross border issues arising from a U.K. based seller and a U.S. public buyer, and lastly, working closely with both parties on the combined product strategy and integration roadmap.